About Company : Serum Institute of India Ltd. has established it's self as the world's largest producer of Measles and DTP group of vaccines. It is estimated that two out of every three children immunized in the world is vaccinated by a vaccine manufactured by Serum Institute. In fact, our range of products have been used in 140 countries across the globe. 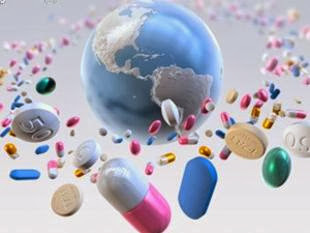 About Company : We are a fast growing Indian pharmaceutical company engaged in developing, manufacturing and marketing a broad range of pharmaceutical products globally. Our core strength lies in developing and manufacturing differentiated pharmaceutical products in-house, which we commercialize through our marketing infrastructure across geographies and relationships with multi-national pharmaceutical companies. Address : Emcure House,T 184, M.I.D.C.,Bhosari, Pune 411 026. About Company : Welcome to Acton Biotech, the company offering activDNA, a new product in the fitness / lifestyle / sports industry. We read a persons DNA and identify the right diet and exercises for that person and predicts the disease that he / she is likely to have in the future. DNA is the blue print of your life. It comes to you from your parents and stays with you for ever. You will get a report that has four main sections. About Company : Established in 1988, Hikal is a reliable partner to companies in the Pharmaceuticals, Biotech, Agrochemicals and Specialty Chemicals industries. We provide world-class Active Ingredients, Intermediates and R&D services and solutions in a safe, secure and confidential manner. Our advanced infrastructure has been inspected and approved by globally recognized bodies such as the USFDA. About Company : Lupin Pharmaceuticals, Inc. is the U.S. wholly owned subsidiary of Lupin Limited, which is among the top five pharmaceutical companies in India. Through our sales and marketing headquarters in Baltimore, MD, Lupin Pharmaceuticals, Inc. is dedicated to delivering high-quality, branded and generic medications trusted by healthcare professionals and patients across geographies..
About Company : Hindustan Antibiotics Limited (HAL) is the first drug manufacturing company to be set up in the public sector by Government of India with active co-operation of WHO and UNICEF. About Company : CIAN is one of the Top Manufacturing Pharmaceutical Companies from Pune (Maharashtra); India with a competitive range of innovative healthcare products comprising of a wide range of Tablets, Capsules, Syrups, Dry Powder Injectables, Lotions, Creams, Energy Drinks, Medicated Soaps, Medicated Shampoos, Veterinary Products. We have 150+ Promotional Distributors all over India for our own brands & 20+ Third Party Manufacturers. We are also entering in to the Export Market. Address : 1st & 2nd Floor, Premdeep Building, Above latur urban co-op. Bank Ltd. Lullanagar Chowk, Camp-Kondhwa Road, Pune-411040.